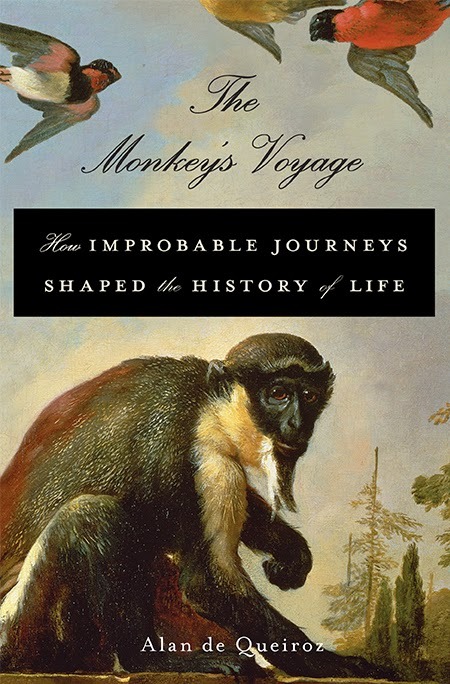 Alan de Queiroz is the author of the new book The Monkey's Voyage: How Improbable Journeys Shaped the History of Life. 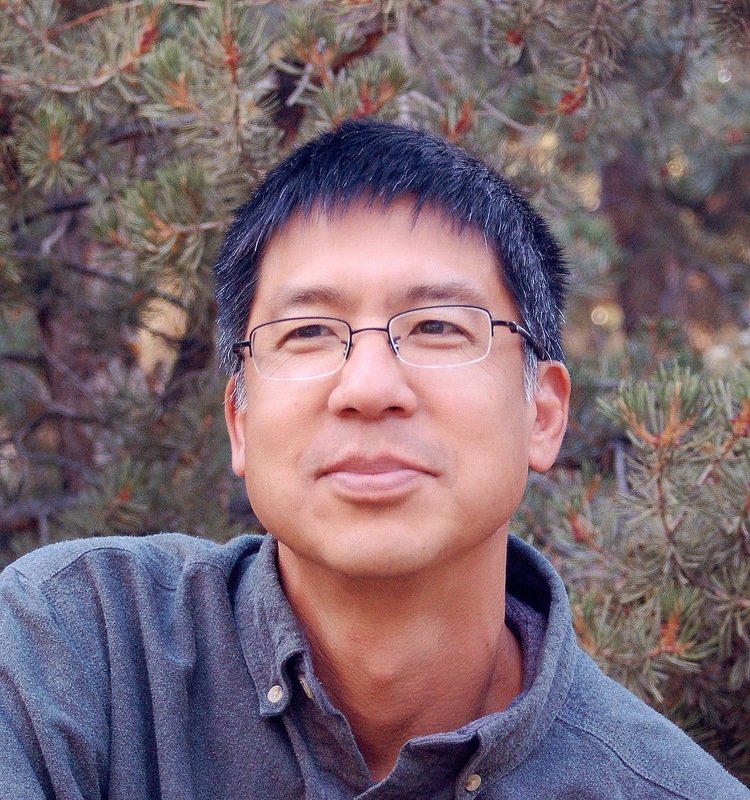 He is an evolutionary biologist who teaches at the University of Nevada, Reno, and he lives in Reno. Q: You write, "When it comes to explaining distributions broken up by oceans, biogeography has been as fickle as fashion. Back and forth the pendulum has swung..." and you ask, "Why should we believe that we're finally getting it right?" Why do you think you're finally getting it right? A: Scientific views change for a lot of reasons, and, as the philosopher Thomas Kuhn pointed out, only some of them have to do with actual evidence. I think that, in this case, views could keep changing because there wasn’t enough evidence or, at least, there wasn’t enough evidence that enough people agreed was legitimate. In the absence of evidence, scientists’ beliefs often were based on intuition—for instance, the feeling that there’s no way monkeys could have crossed the Atlantic—and on the influence of certain very persuasive individuals (the ichthyologist Gary Nelson is one I wrote a lot about in the book). The difference this time around is that the swing back to ocean-crossing explanations has been driven by evidence, especially DNA sequence data that have been used to estimate when different evolutionary lineages (such as New World monkeys and Old World monkeys) separated from each other. The information from DNA about when things happened is critical for distinguishing between ancient fragmentation and more recent dispersal, and we suddenly have much, much more of that information than we had before. I’ve seen the explosion of DNA evidence, of course, but there’s also a kind of psychological argument for my interpretation that this latest swing of the pendulum isn’t a case of people just believing what they want to believe or have been taught to believe. The argument is that a lot of the people who are now saying that ocean crossings are really important actually started out with a bias against that explanation. That is, when they began studying biogeography, they were thinking that continental drift and other processes that fragment landmasses were the dominant explanations for distributions broken up by oceans. They had to have their arms twisted by the evidence to come around to thinking that ocean crossings have been really significant as well. Two of the scientists I wrote about in the book—Miguel Vences, who studies frogs, and Matt Lavin, an expert on bean plants—followed that kind of an intellectual arc. For that matter, so did I. It will be fascinating to see what happens to this field of study going forward. There are still quite a few scientists who don’t believe the DNA evidence and haven’t budged from their view that relying on chance ocean crossings is delusional. At this point, given all the evidence that’s piled up, these people seem to me almost like creation scientists and, like the creationists, I don’t expect them to ever change their minds. But I suspect that their influence won’t persist much into the next generation or two of scientists. Q: Why did you decide on "The Monkey's Voyage" for the title, and what is especially intriguing about the monkey's journey? A: I chose that title for two reasons, one obvious and one almost completely cryptic. The obvious one is that the case of monkeys rafting across the Atlantic is probably the most startling, well-established illustration of a natural colonization across an ocean. The book kind of builds up to that as the centerpiece example (although the fundamental conclusions wouldn’t be changed even if that example didn’t exist). It’s a case that’s especially surprising because it involves land mammals, animals that aren’t supposed to be able to survive long ocean journeys. The less obvious reason for the title—and sort of an inside joke—comes from the notion that humans are monkeys; that is, we’re one, admittedly peculiar, species within the monkey evolutionary group. That idea was in my mind when I was writing the book, so the phrase “the monkey’s voyage” almost invariably made me think about my own intellectual journey and those of other scientists who have explored this subject. On the cover of the book, my name is right under the image of the monkey, which I think is perfect, because I’m the monkey. Q: You write that without chance ocean crossings, life would be very different today. What are some of the most notable examples? A: There are several levels of answers to that question. A somewhat superficial, but still striking answer is that many species that people use frequently wouldn’t even exist if their ancestors had not crossed oceans naturally. Some of the many examples include the common bean, squash, the most widely-used cotton species, watermelon, eggplant, nutmeg, and guinea pig. If you took away those species, the history of humans would certainly be different, probably radically different. For instance, without beans and squash, the indigenous cultures of North America could not have developed as they did, and those differences would have affected the course of European colonization, and on and on down the line. A deeper answer is that there have been so many successful colonizations across ocean barriers that, if you could make all of them disappear from the history of life, the entire biota of the world would be almost unrecognizable. It would be like an alien planet. For instance, well over half of all living land mammal species in South America—the monkeys and almost all of the rodents, things like the capybara and guinea pig—are the descendants of mammals that crossed a sea or ocean to get there. But it isn’t enough to just imagine subtracting those species from the modern biota; the immigrant rodents and monkeys undoubtedly have had huge effects on the evolution of other groups, including other vertebrates, various kinds of parasites, and plants. And the mammals are just one of many South American groups that include overwater colonists, so the total influence of these colonizations is hard to even fathom. In the book I focused on South America to make the point about the great influence of ocean crossings, but I think you could make a similar case for almost any part of the world. From this, it follows that the global impacts must be enormous. Finally, there are fossils that suggest that the anthropoid primates originated in Asia, and that members of this group dispersed to Africa something like 50 million years ago. If that’s true, it means that these ancient primates had to raft across the sea, because Africa was an island at the time. Now, these African anthropoids were the ancestors of all living monkeys and apes, which means that they were our ancestors. So, if you took away just that one chance sea crossing, humans would never have evolved, which is an interesting thing to ponder. There would be a lot less carbon dioxide and other greenhouse gases in the atmosphere, the planet would be cooler, there would be many more species of native island birds, more forest, more fishes and whales in the ocean, and nobody would have written anything about biodiversity or anything else for that matter. A: I just took a short trip to the California coast to collect some jumping bristletails that will, hopefully, help us figure out whether these flightless insects colonized Hawaii from North America or the other way around, something I mentioned in the book. We may also have discovered a new species of bristletail, which I’m irrationally happy about. There’s a saying about scientific contributions—“theories pass, the frog remains.” And this new bristletail hopefully will remain too. That is, it won’t be about how we got opposable thumbs, or became bipedal, or ended up as the only surviving human lineage. I hope it will be the kind of book that will make people think about a lot of things they’ve never considered before. A: Just something to get rid of a little guilt: In reading reviews of my book, I’ve noticed that people often talk about my “far-flung travels” in a positive way. And I know that, in at least one place in the book, I implied that journeys to exotic places to encounter exotic creatures are really desirable. However, given the fact that traveling great distances in fossil-fuel-powered planes and cars generally isn’t in the best interests of the ocean-crossing and other organisms on this planet, it’s hard to sustain an entirely positive view of world travel. I won’t say that traveling is bad, period, or that I’ll never again take a big international trip, but I do think that, in this era of obscene consumption that’s driving environmental destruction, we shouldn’t be glorifying exotic travel as I did in the book. Maybe, instead, we should emphasize the exploration of our own backyards a little more. From a biologist’s perspective, for instance, there are intriguing species to be seen and discoveries to be made anywhere. I’ve done a fair amount of traveling—certainly too much—both within and outside the U.S., but the first new species I ever had a part in discovering was a bristletail insect that lives in mountains we could see from our dining room windows. Also, the most satisfying contemplative experiences I’ve had within the natural world usually have been in familiar places, where I’m comfortable and have some history, so that’s another argument (at least for me personally) for staying put.